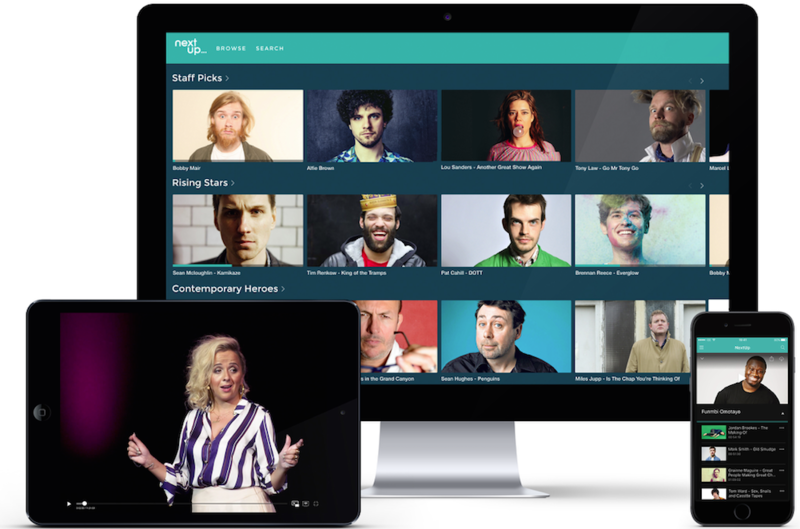 NextUp, a stand up comedy VOD platform that launched in 2016, has completed its latest investment round, securing £230,000 (US$297,000) while also striking a distribution deal with Virgin Atlantic. The latest funding round brings the platform to a valuation of £1.5 million, up from £750,000. In addition to the company’s current investors, Technologies SAS and Matthew Emerson investing further during the second round, NextUp have also brought in multi-sector, multi-fund venture capitalist firm Velocity. Velocity’s creative director, Bil Bungay, will take a seat at the NextUp board. NextUp has also signed a distribution deal with Virgin Atlantic, which will be featuring its originals as part of their airline entertainment offer. Initially Virgin will feature comedians Brennan Reece, Tom Ward and Colin Hoult (as Anna Mann) with more titles to come later this year. NextUp will be scouting talent at the Edinburgh Fringe in August and this will be followed by one more investment round later this year. The platform shares a portion of the company’s revenue with acts on the channel and offers a bursary of up to £3000 to support acts. The platform’s monthly subscription costs £3.50 and comes with a 30-day free trial. The team behind YouTube channel and live comedy night ComComedy and former BBC Worldwide director of comedy and 2Entertain managing director Stuart Snaith launched the service.